My name is Kendel Cornwell and I run a History Discussion Group at Malaga Cove Library in Palos Verdes, Ca. Jeff Arnett gave me your names. I am interested in having you talk to my History Group. 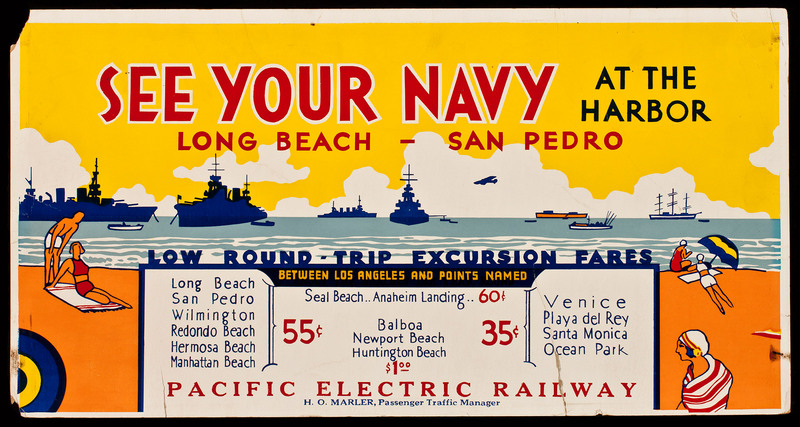 One wonders if any of the ships viewed by passengers on these specials met their end at Pearl Harbor in 1941…. Looks like Arizona was based in San Pedro during this era.